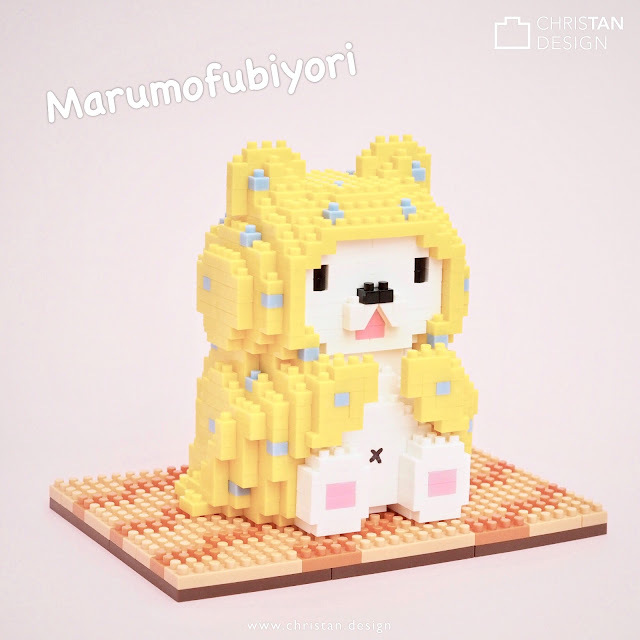 My nanoblock Marumofubiyori =D ... a new character from Sanrio. He’s a white bear cub that is always wrapped in his favorite blanket and loves to laze around at home =) ... I had to desaturate the colours in my photo in order to make the bright yellow bricks look more like the pale pastelly colours of Marumofubiyori.